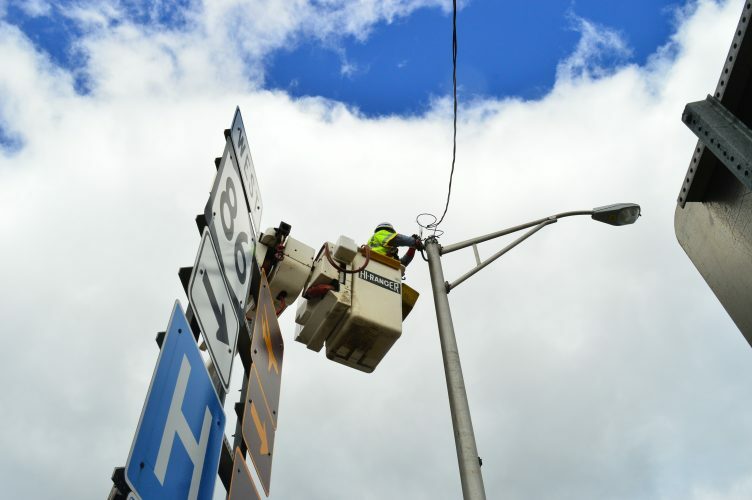 TUPPER LAKE — This town has more electric car charging stations than almost any other town in the Adirondacks after the village electric department installed three stations last month, bringing the total count to five. The village’s three stations, with two chargers each, are located at the Wild Center nature museum, the softball field at the Municipal Park and near the bandshell in Flanders Park. They add to stations at two Tupper Lake hotels: Shaheen’s Inn, which has two chargers, and the Faust Motel, which has three. “There’s no excuse for people to not come to Tupper Lake to charge their cars,” electric department Superintendent Marc Staves said at a recent village board meeting. While talking with people from the Adirondack North Country Association in August, Staves learned of a New York State Energy Research and Development Authority program for charging stations with just one catch: The deadline for the stations to be operational and available for the rebate was Sept. 31. Staves pulled together what he called an “11th-hour project” and finished well ahead of the deadline. The village electric department installed the stations, which made the deadline feasible. Because the village did not have to bid for a contractor, all the work was done in house by the experienced Tupper Lake linemen. The village paid around $2,000 per charging unit after a NYSERDA rebate, which covered $8,000 of the purchasing cost. Staves said what really sold him on the project was the NYSERDA maintenance agreement, which means the state will maintain and fix the stations on its dime. Robert Merrill and his family also lent their electric car to the village to test the chargers, keeping the village from needing to rent one. The chargers are providing electricity for free now. 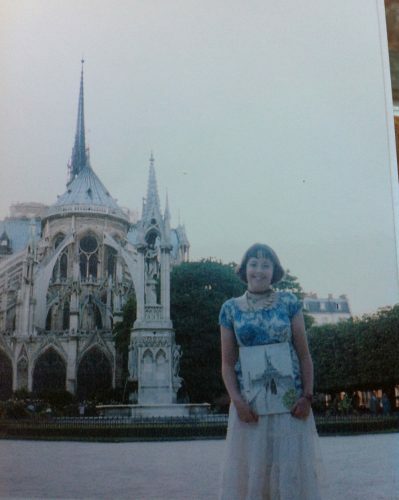 Staves said the village may institute a fee in the future. He also said the village now has a goal of installing one or two level 3 chargers in town. The three chargers recently installed are all level 2, which take around two or three hours to charge a vehicle. He said the level 3 stations take 10 to 15 minutes but have a larger power draw and more infrastructure needed. “The level 3 charging system is more like your typical gas charging situation,” Staves said. While talking with a state representative from the New York Power Authority about the project, Staves found out they have not been to the Adirondacks in a while because they only own electric vehicles and were not sure of the charging capabilities up here. 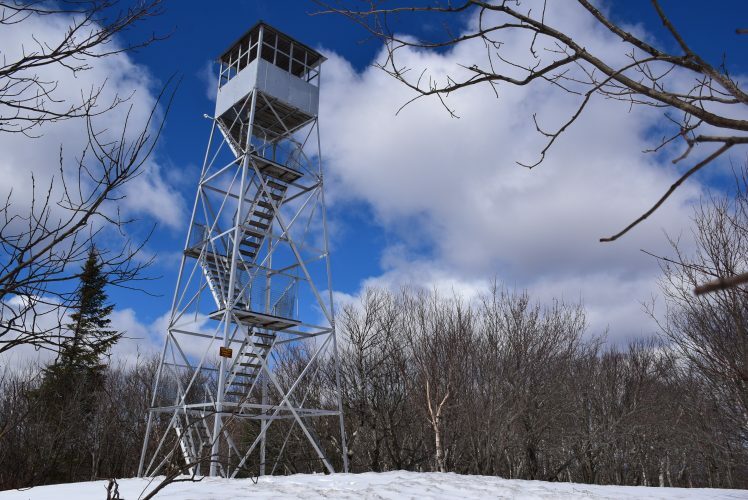 Staves said now that this representative knows about the Tupper Lake chargers he is planning a cross-Adirondack trip, including a stop in Tupper Lake to visit the Adirondack Sky Center and Observatory, of which Staves was a founding member. 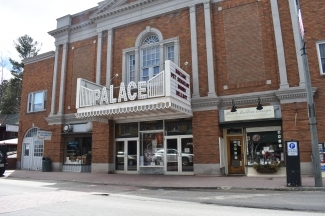 “This is what our end goal is, to bring people to Tupper Lake and spend a little time here,” Staves said. 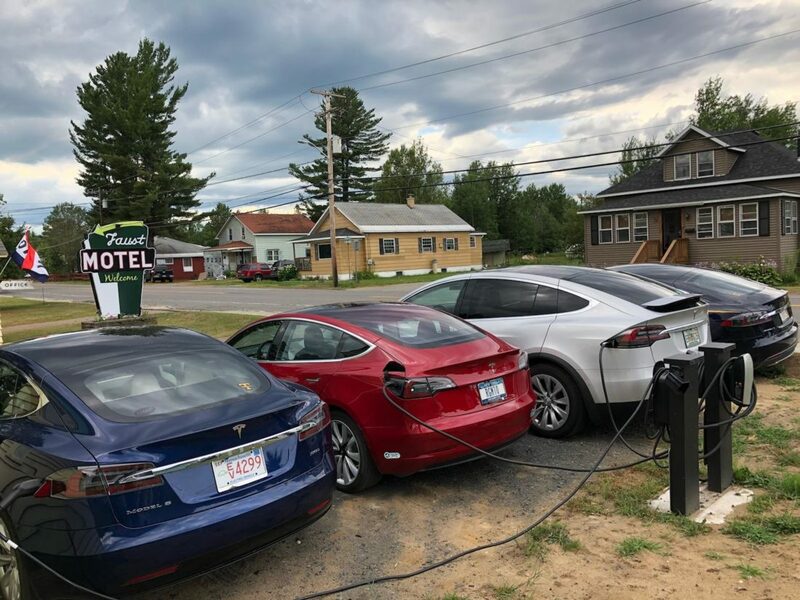 The first electric car chargers in Tupper Lake popped up Nov. 21, 2017, at the then-unfinished Faust Motel next to Raquette River Brewing on state Route 3 in the Junction. Tesla actually paid for the stations and installation of two Tesla-only chargers and one universal charger. The motel shows up on Tesla’s official map of all available charging stations, worldwide. 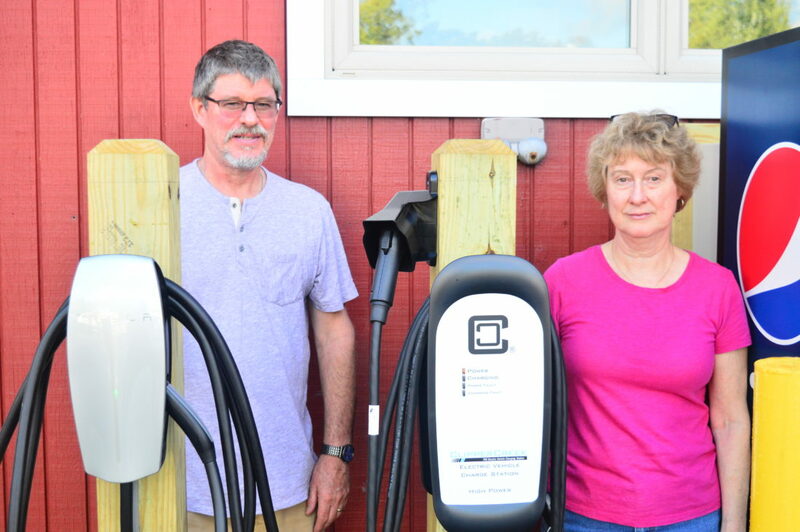 Mark Jessie, who co-owns the motel and the brewery, started Tupper Lake’s foray into electric car charging after talking with a seasonal resident and friend at the brewery. Taylor Ogan, from the Merrill family, drives a Tesla, his mother drives a Tesla, and several of his family members and friends drive Teslas. He knows the electric car community well and told Jessie that charging stations at the brewery would bring in business by motorists looking for a spot to fill up. Last year when Ogan drove coast to coast in his Tesla, his only automotive spending on the 8,000-mile journey was $1.95 for windshield washer fluid. He filled up for free at hotel charging stations across the country and would spend the night there because he wanted to support the businesses. Jessie said he decided the Faust Motel would make a better location for the chargers than the brewery because of the ongoing construction. Ogan pointed out that drivers are also less likely to get “ICEd” by an internal combustion engine vehicle blocking the chargers. “What really convinced me is when he let me drive the car,” Jessie said. The Tesla Model S accelerates from zero to 60 mph in 3 seconds or less. The acceleration happens all in one motion, too, because, without a transmission, the car does not need to shift gears. Ogan tells passengers to lean their heads back to avoid whiplash. As the car accelerates at the speed of gravity he holds in pens, businesses cards and any other console knickknacks that are thrown backward in the rush. Shaheen’s Inn is a green hotel, paying for most of its electric costs through solar panels on the building, holding a green certification from the Audubon Society and now, installing car chargers in the parking lot last month. Co-owners Terry and Robyn Doolen said visitors suggested they install the charging stations and that they received help from Ogan, who set them up on PlugShare, an app that maps out all charging stations for drivers and allows electric car owners to leave reviews. The Doolens ordered the chargers from Ken Stoll of Stoll Mechanical in Tupper Lake, who installed them as well. Though they paid for the chargers out of pocket, they are offering the service for free. 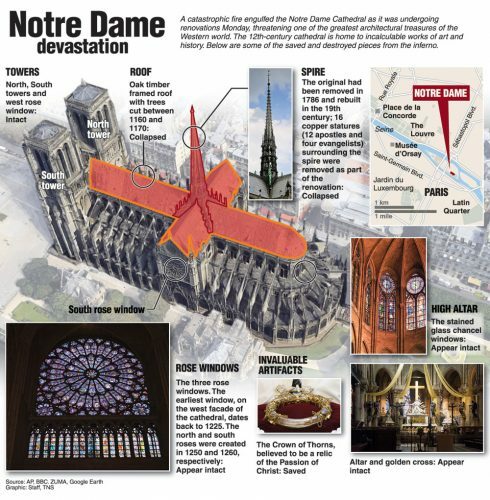 “It’s goodwill we’re creating with them, because they’ll spread it to other people,” Terry said. “And people will stay with us, hopefully,” Robyn added. The Doolens said they have had mostly Canadians filling up so far, staying the night or on their way south. When the two visited the Norwich Classic Car Museum recently, they said they saw an early electric car from 1903. The Wild Center’s interpretive programs coordinator, Simon Schreier, is naturally excited about the charger installed in the environmental museum’s parking lot. He is a electric car fan and advocate, hoping the chargers lead to more people buying electric cars in Tupper Lake. Electric cars are catching on slowly, with the big holdups being the cost of the vehicles themselves and a lack of chargers in certain places. Electric car prices can range between $35,000 for the base Tesla Model 3 to $135,000 for the Tesla Model X.
David St. Onge, the facilities manager at the Wild Center, helped collaborate with the village to install the station. At an event during National Drive Electric Week on Sept. 15, the Wild Center staff showed off their brand-new station and talked with local and visiting motorists about the benefits of driving electric, including not having to pay for oil, gas or faulty transmissions. During the event, by pure happenstance, a man in an electric car pulled up and started charging, unaware of the launch. Staff excitedly yelled at him; “You’re the first person to use our chargers!” Schreier said he went on charging just as usual. Schreier believes Tupper Lake is the perfect place for electric car chargers. “You are only as green as your power source,” Schreier said. Tupper Lake is 90 percent powered by hydroelectric power through NYPA, making it an outstanding green village. The rest of the village’s electricity comes from a mishmash of nuclear, wind, solar and fossil fuel sources. Schreier said that even if the power source is not 100 percent green, it is at least better than burning 100 percent fossil fuels, and electric car owners are setting themselves up so that if a municipality changes to a greener power source, they are all ready to go. The reopening Frontier Town tourism hub in North Hudson has plans for the state to install electric car chargers in phase two of the construction. There were also charging stations in the Price Chopper parking lot in Lake Placid, but they were torn out after malfunctioning.